I can't imagine traveling in the rugged untamed wilderness on the cusp of winter with a brand new baby! Moriah had so much fortitude to leave behind the home she built with her husband and seek out her mother's people. I came to like Samuel in the previous book that focused on his twin, so it was wonderful to read his story and see him be the hero to Moriah and her baby girl. They are strong together and over time she learns to trust him by witnessing his actions and manner that reflect his inner goodness. 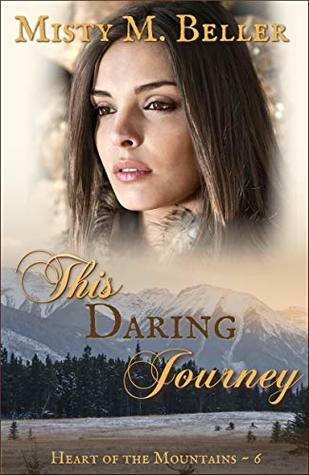 The journey is treacherous of course, and they pass through and overcome a variety of trials and obstacles, picking up a Native boy along the way who brings another dynamic to their small group. I love the adventure and sweet romance in this series!